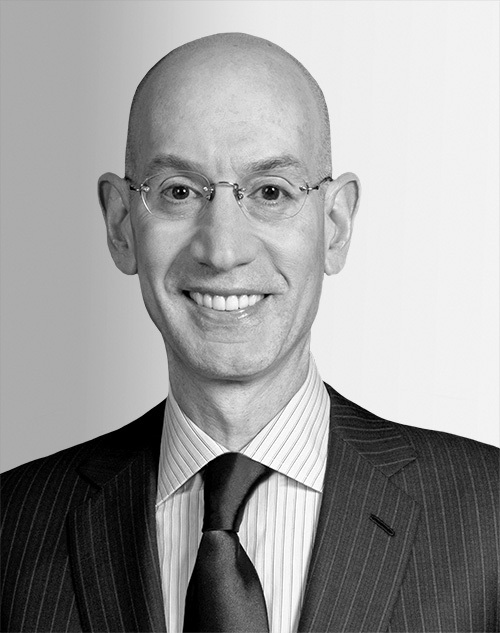 Adam Silver was unanimously elected NBA commissioner on February 1, 2014, by the NBA Board of Governors. Silver presides over a global sports and media business built around four professional sports leagues: the National Basketball Association, Women’s National Basketball Association, NBA G League, and NBA 2K League. He is dedicated to growing basketball around the world, embracing innovation and new technologies, increasing transparency, and using basketball to bring people together and promote health and fitness.